Compared to other classical societies, women in ancient Egypt had a good amount of legal status and protections. Sure, they generally didn't work and their status was generally determined by their father or husband, but even single women could own property in their own name, enter into contracts, sue and be sued, and serve on juries and as witnesses. Compare that to ancient Greece, where women had no legal identity and could not own property, according to Janet H. Johnson, an Egyptologist with the University of Chicago's Oriental Institute. While Egyptian women has legal protections, social realities meant that these things weren't actually always equal in practice; one papyrus from 1147 BCE in the Brooklyn Museum's collection lists about 10 percent female land owners among thousands. But the option for legal recourse was always there. And one way women used their legal standing was to demand prenuptial agreements to protect their economic standing in the event of a divorce. There was no legal or even religious ceremony that accompanied marriage in ancient Egypt. A couple lived together and established a family and this way they were "married," but they did not sign anything vowing personal affection or fidelity. Instead some had marriage contracts that dealt strictly with the finances of the wife and husband. They were, for all intents and purposes, prenups that bound a man to certain annual provisions for his wife and children, both during marriage and, in the event of divorce, after, if the man initiated the separation. In ancient Egypt, either party could be at fault for the divorce if they were unfaithful, and in those circumstances, the cheating party would forfeit their half of the couple's joint property. Atlas Obscura highlights papyri from different eras that provide evidence of these prenups. One 2480-year-old, 8-foot-long scroll in the Oriental Institute collection, written in demotic—a later form of hieroglyphic shorthand—includes detailed post-divorce provisions for the wife, including "1.2 pieces of silver and 36 bags of grain every year for the rest of her life," says Emily Teeter, an Egyptologist at the Institute. Another lists all the property the wife brought into the marriage and includes a promise from the husband that it would be returned to her if they divorced. 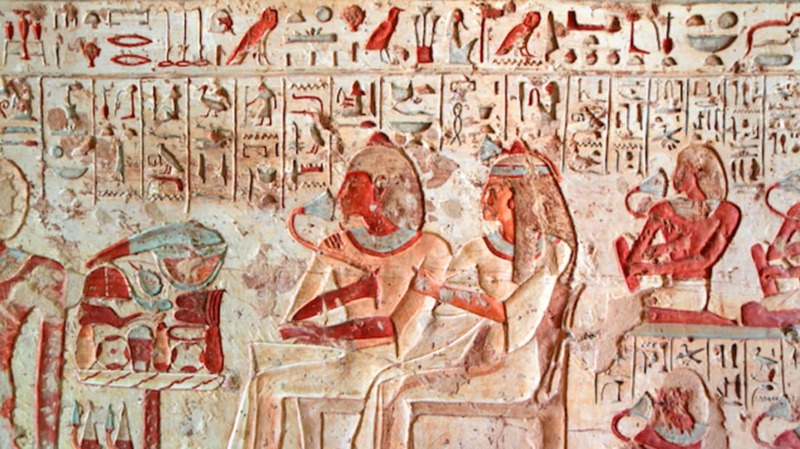 These legal protections for women in ancient Egypt certainly didn't make the Nile basin a feminist haven, but the relative legal status they enjoyed stands in stark contrast to how women were treated in many cultures in antiquity.